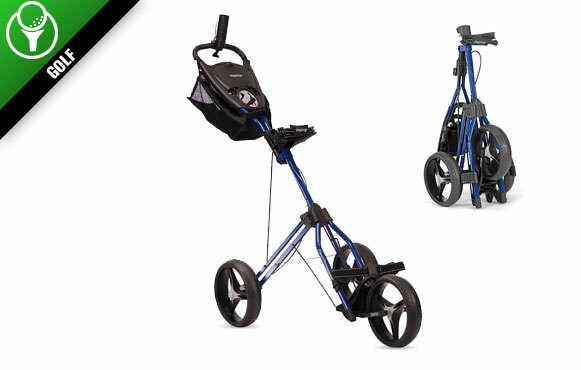 Although walking the golf course is a tradition of the game, pushing your clubs around the course is becoming a new trend thanks to the growth of the innovative three-wheel pushcart. From resort courses to public facilities to prestigious private clubs, "pushing" around the course has become a fun and health-conscious alternative to riding in a cart and/or carrying a bag. … And no, we're not talking about Dad's old, rickety pull cart! Recent studies by medical experts reveal that by pushing clubs around a course, a golfer will burn more than 1,400 calories compared to riding in a cart, which uses only about 800 calories.